It's amazing how the weather can alter one's mood. The wind is cold, bone chilling cold. The sky is several shades of the dullest gray. I'm wearing my go to cold weather pajamas which are thermal with colorful snowflakes printed on them. They are extremely soft and sooth my goose-pimply skin. white wine and leeks and mascarpone cheese. Watching her make it gave me warmth. 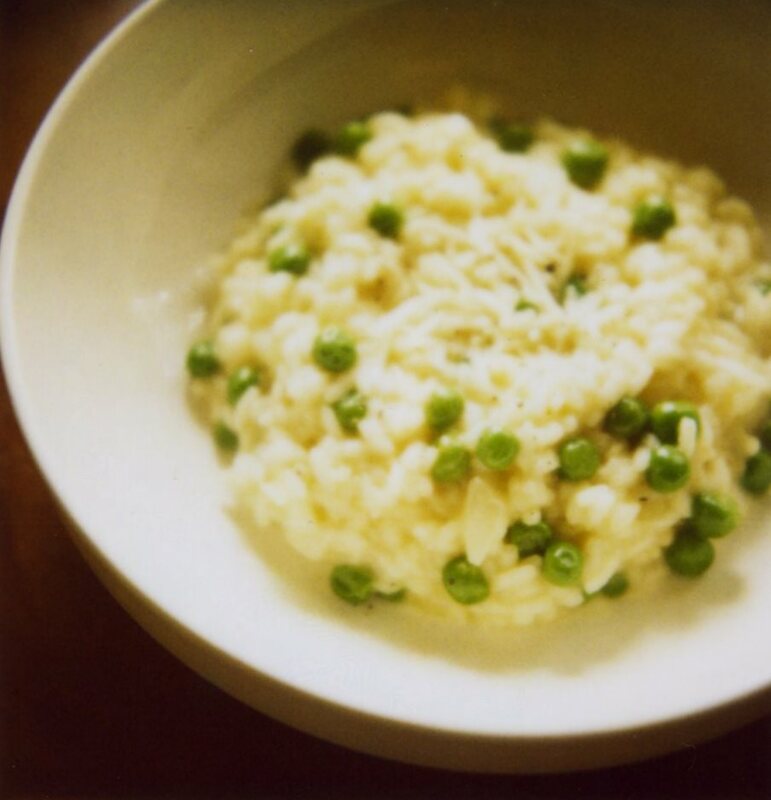 I wondered what tasting the risotto would actually do. So I went to my cupboards and sure enough I had the arborio rice. No white wine or leeks or even the mascarpone cheese but I did have chicken stock, half an onion left from the night before and frozen peas. Also found some parmesan cheese which made me giddy. I thought J had used the rest on our weekend spaghetti feast. This was the bees knees. Creamy, salty but sweet from the onion and peas. It was delicious. Warmed me to the core. I sat in my favorite vintage red chair that clashes with everything in my living room, opened my paperback which was perfectly creased on the chapter I left off on and savored each bite of my bowl of risotto. This was my comfort for the day. The thing I needed, the thing I was restless for. That was the highlight of my Tuesday.